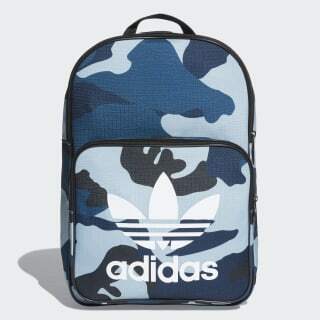 A favourite adidas backpack gets a blast of camouflage. A true blue classic gets a bold and colourful update. 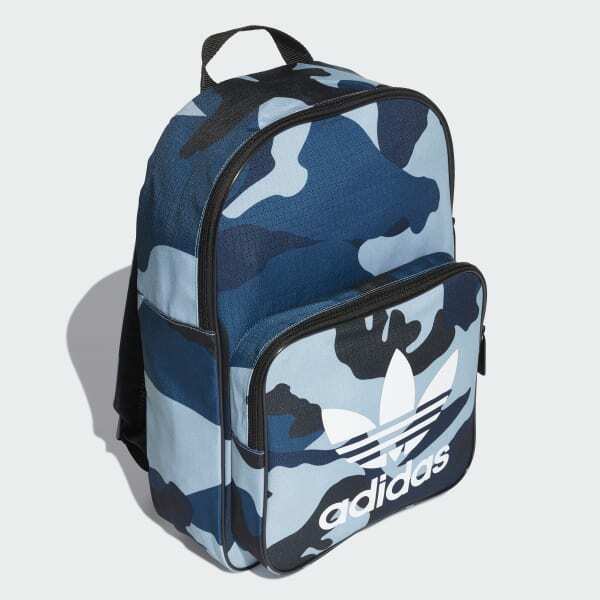 This rugged backpack is splashed with a new camouflage print. The spacious design includes a front zip pocket accented with a larger-than-life Trefoil logo.